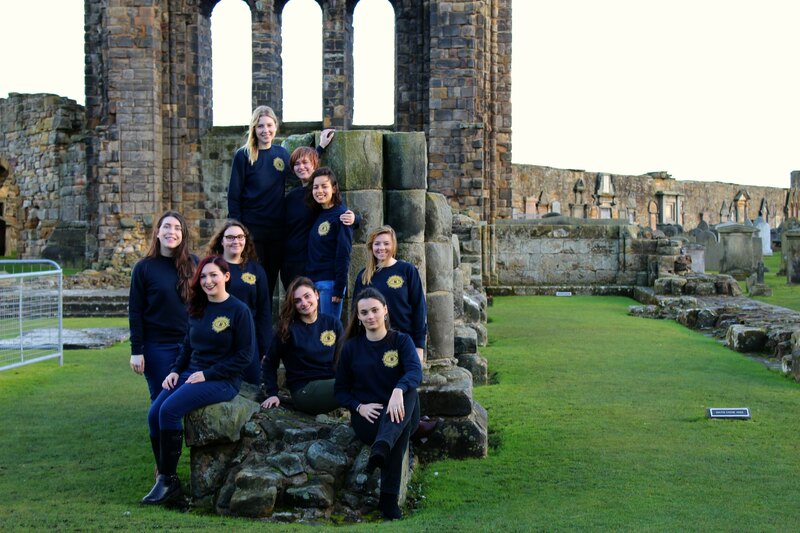 We are nine postgraduate students from the University of St Andrews enrolled in the Museum and Gallery Studies course. 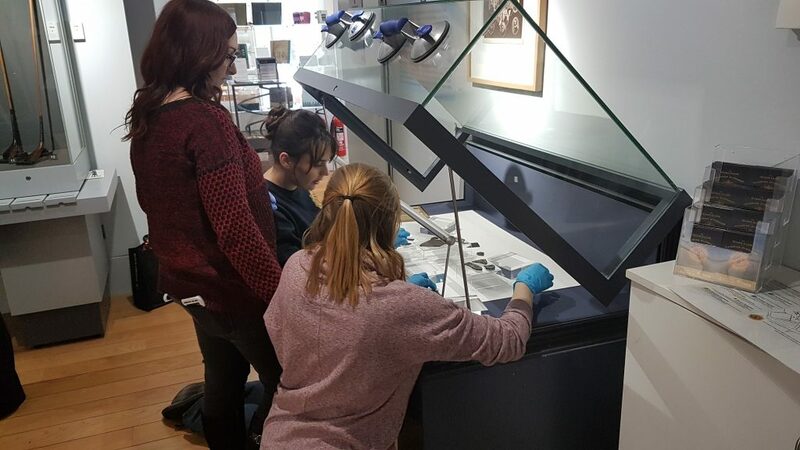 As part of our year-long study, we have been tasked with curating an exhibition for the Museum of the University of St Andrews (MUSA), in partnership with Historic Environment Scotland. This project is an exciting opportunity for us but it has not been without its challenges. Most importantly, we have been surprised by how truly rewarding this experience is. But first, let’s give you a little context. The postgraduate degree in Museum and Gallery Studies is offered by the School of Art History at the University of St Andrews. It is a postgraduate programme which combines taught modules with project work. The latter consists of an individual project carried out by the students in a local museum or gallery and a group exhibition project. The exhibition is organised entirely by the students who must take care of every aspect of it, from selecting objects to display to creating educational activities for all ages to enjoy. The students on a trip to St Andrews Cathedral, one of the historic buildings that is discussed in the new display. This year the theme given to us was the town of St Andrews and the celebration of the Scottish Year of History, Heritage and Archaeology. The team was eager to know more about the past of this enchanting town where we were going to spend the rest of the year. We were also keen to share information about the history of St Andrews with museum audiences. After several brainstorming sessions, we decided to focus on a less explored period in the history of the town: the Victorian period (1837-1901). At the beginning of the Victorian era, St Andrews was quite different from the town we know today. It was far from being the tidy, clean, and picturesque place we know today: St Andrews experienced important developments during this time which ranged from buildings restoration to excavations. Thanks to weekly meetings and the support of our supervisors, the exhibition began to take form and became Victorian Visions – Discovery and Restoration in St Andrews. 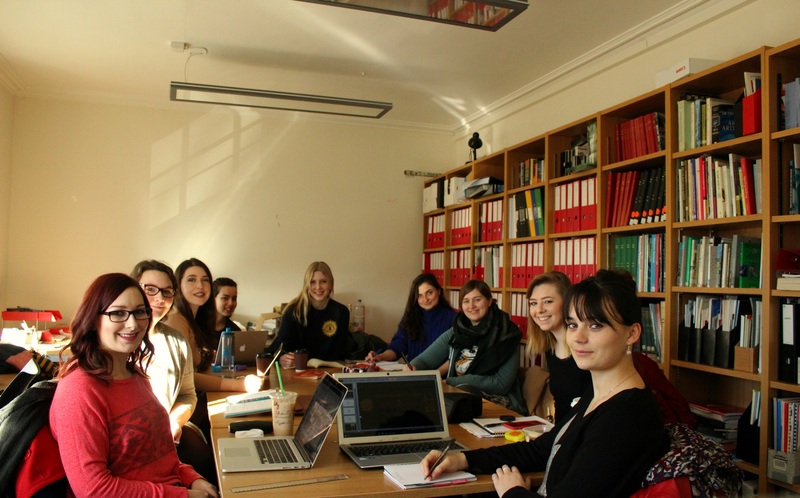 The students have had regular planning meetings over the past six months. The main goal of the exhibition is to promote knowledge of the history of the town through an experience that will be educational and enjoyable. Visitors are encouraged to make links between the buildings in St Andrews today and those in the past, helping to show how the town has evolved over time. In an exhibition, objects are used to tell a particular story. Thanks to our collaboration with HES, the British Golf Museum and the St Andrews Preservation Trust, we have a range of objects: Victorian photographs of St Andrews, architectural drawings and carved stones, prints, books, golf clubs and balls, archaeological objects and costume such as a Victorian jacket. A programme of free educational events will run alongside the exhibition to further engage visitors with the stories behind the objects displayed. They will offer practical activities, especially for children and their families. Looking back at the whole process of organising the exhibition, we can say now that these have been a very intense few months. We have become more aware of the town of St Andrews and its community, we have grown as a group and developed precious practical and transferable skills. 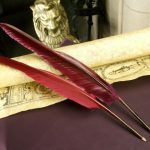 The Victorian Visions team is excited to finally share the product of its work with everyone. Victorian Visions – Discovery and Restoration in St Andrews is open from 11th March 2017 to 17th September 2017 at MUSA, Museum of the University of St Andrews.